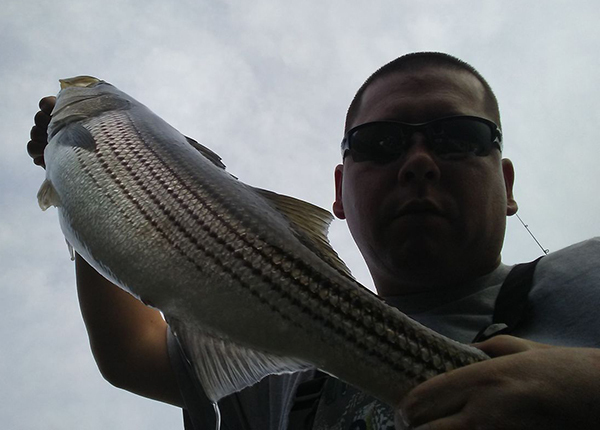 Nice Striped Bass caught on the Trout swimbait. 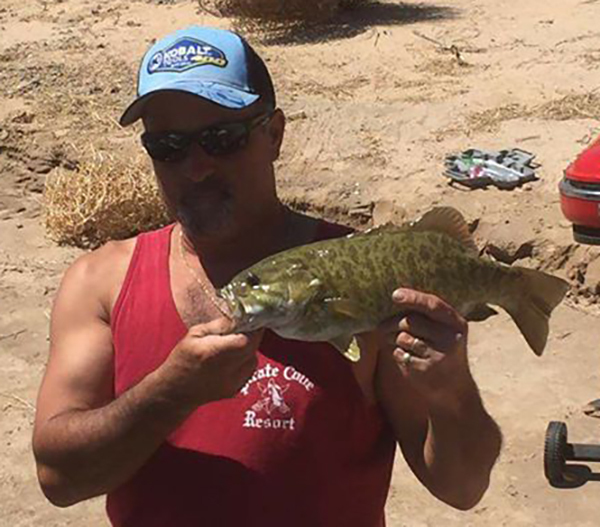 Angler Greg Riley checked in with an update from the Colorado River Willow Beach. 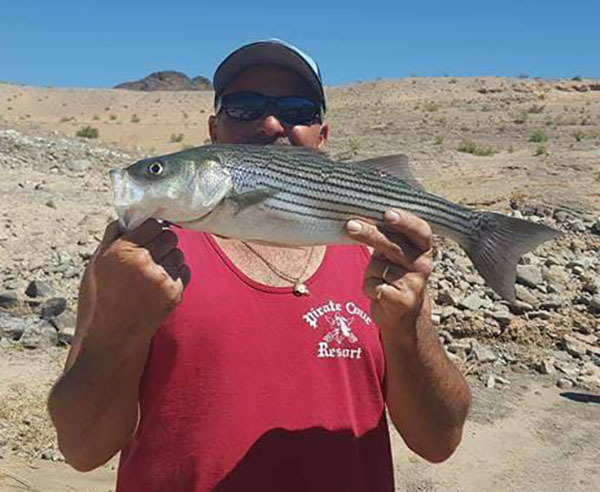 Check out this nice Striped Bass Greg caught using a trout swimsuit from his boat. Greg estimates the fish to weight between 8 and 10 pounds. Thanks for sending in your photo!